Natural weed killer a comprehensive guide for beginners. No matter how many times you tender your garden, weeds are almost inevitable. I know most people will say that weeds are just common plants whose good virtues have not been discovered yet. However, such unwanted visitors to your garden can always ruin the beauty and perfection of your lawn or garden if not taken care of. That being said, you will need to find the ultimate solution that will help you to eliminate these weeds. For many years now, the battle towards getting rid of these unwelcomed visitors has always been a heated one. Most are the times you will feel compelled to use the commercial herbicides. This is because they tend to do the job faster and effectively compared to all other options. However, for anyone who wants to maintain an organic vegetable garden, this is not always the best option. Well, I can’t deny, pulling the weeds by hands could also be a great organic option. But this could turn out to be such a time consuming option on the contrary. In that case, you may want to consider the natural weed killers which are definitely a more practical choice. You will be surprised how even a combination of some ingredients from your pantry could have the job done. Read on and I will show you the many ways that you could use to eliminate weeds organically. One thing you need to know as a gardener is that it’s not always about dosing them herbicides in your garden. Layering a good amount of mulch in your garden could also ensure that weeds do not grow in your garden. Weeds will choke your garden out and no matter the many times you try to get rid of them they still keep on reappearing. That being the case, with a solution such as mulch for your weeds, you are assured of credible results. However, what most people don’t know is that mulch will not entirely prevent weeds from growing in your garden. Instead, it will only slow down these annoying weeds. In that case, do not panic when you still see some peeks of weeds through the layers of mulch. More to that, mulch has more benefits that one to your crops in the vegetable garden. In that, it also acts a good source of food for the crops. This is because, mulch tends to break down hence giving the plants the nutrients they need in order to flourish. Finally, mulch will never disappoint when it comes to keeping the moisture in your garden in check. Hence, your thirsty plants will be able to retain water in a more effective way. Well, white vinegar must be the one very versatile ingredient in your pantry. It does everything from killing odors, cleaning counters to making incredible homemade salads. 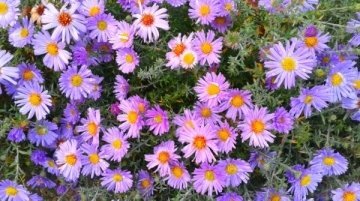 Therefore, why not use it too as a natural weed killer in your vegetable garden? All you need to do is sprinkle a portion of the white vinegar on the weeds. This option may not be as immediate as the chemical herbicides but sure enough it will work at the end of the day. Also, it will not have negative effects to the environment too. All in all, if you want to get ultimate benefits from the white vinegar, you should ensure that it gets all the way down to the roots. 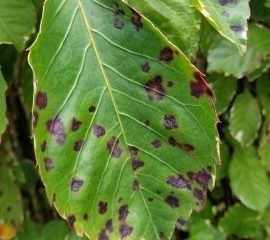 A little caution is required anyway as you should not spray your garden crops with the white vinegar. This is because, white vinegar might kill the garden vegetables too. In case you have been struggling to get rid of weeds with long taproots in your garden, you’ve landed yourself the ideal option. Everyday 5% Vinegar will do just fine. The higher concentrations of 10 and 20 percent are more expensive. However, common household vinegar will get the job done. It will take a few days longer is the only downside. You must have heard of corn meal as a by-product of the process of corn milling. However, this is one of the best methods you can use to prevent weeds from germinating and sprouting in the first place. The corn gluten acts as a pre-emergent meaning that it is responsible for killing weeds before they appear above the ground level. This being the case, you can sprinkle corn meal over your flower beds, or your vegetable garden in order to prevent weeds from sprouting. The corn gluten will not kill your already growing crops but on the other hand, it will not kill the weeds too. Also corneal works great if you sprinkle it on the soil where you plan to transfer your transplants. This kind of an alternative will save you the trouble of pulling out weeds later. Finally, corn meal as an added advantage. Since when it breaks down it provides the crops with more nitrogen content. Which in many cases could be inadequate in the soil. The last thing you need to do is contaminate your garden with some nasty chemicals. This is especially the case if you have pets and kids nearby who will in most cases go around putting anything on their mouth. In that case, this incredible combination of vinegar, dawn dish washing soap and Epsom salts will do the trick. All you have to do is combine all the ingredients together then mix them all together to make a natural weed killer with vinegar and dawn. 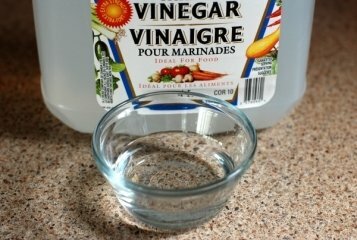 Well, vinegar is an effective weed killer on its own, but it tends to be even more effective when its mixed with Epsom salts and dawn soap. This is because the Epsom salts as well as acetic acid in the vinegar will dehydrate the weeds. This is by sucking out all the moisture in the weeds. On the other hand, the dawn dish soap works best by breaking down the plant’s cuticle. The liquid should be applied directly on the weeds, as it could also kill the existing crops. 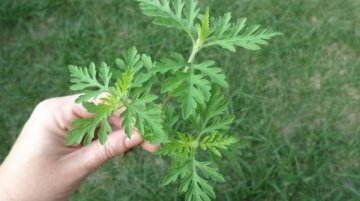 This natural weed killer with Epsom salts is non selective therefore you need to be cautious. 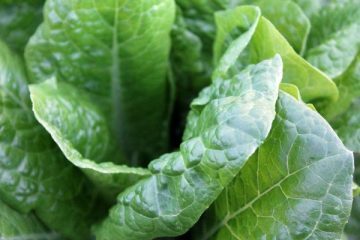 Surprisingly, salt water is one of the most effective yet the cheapest natural weed killer for your vegetable garden. Salt works by dehydrating the existing weeds in your garden. Hence, the nutrients present in the weeds are released to the soil then restricting these weeds from absorbing any water. However, if not applied properly, this salt water could also have potential damage towards the soil around the weeds. Generally, it’s a 3:1 ratio of water to salt. Adding a bit of Dish soap and a bit of vinegar will aid in it’s effectiveness. Also, it could tamper with any other surrounding plants that could be having underground roots. You may want to consider watering any surrounding plants as a precaution. 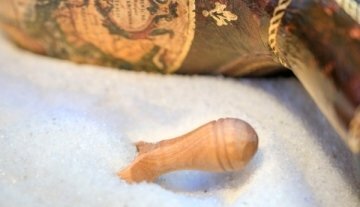 Well, most people will say that a pinch of salt may not have any considerable damage. All in all, I don’t find this enough reason to risk your well cultivated organic herbs and vegetables in your garden. In that case, salt water might be a great solution for eliminating weeds especially on the driveways and sidewalks. In addition, you could use the salt water to cease plant life that you won’t be needing in your garden any longer. Rubbing alcohol is an ideal weed killing recipe that works best in getting rid of those annual weeds that in most cases will be growing in full sun. 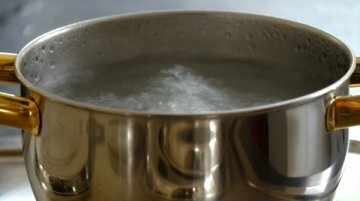 To make this recipe, you will need at least 2 ounces of cheap vodka as well as some water-precisely 2 cups and a few drops of dish washing soap. Then, mix all the ingredients in a spray bottle of your choice. You should then spray this concoction to the weeds directly in order to dehydrate them and eventually kill them. All in all, you need to be careful when applying this mixture as it should not land on your organic plants in the garden. This is because the alcohol dries out whatever it meets non-selectively. Also, it’s important to note that this mixture doesn’t work out well in areas with a lot of shade. In case you are wondering what solarizing is, read on and I will explain it to you. 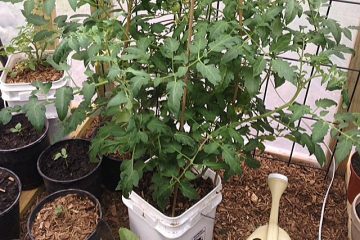 Well, solarizing is the process by which you cover your garden soil where there are weeds with a heavy clear plastic sheet. It’s important to note that black plastic sheets will not have the job done. More to that, solarizing also works best when there is full sun and the weather is warm enough. This is because this entire process works by collecting heat from the environment then cooking the weeds that are underneath. For ultimate results, it’s advisable that you leave the sheet on at least for 4 or weeks. Ensure that the sheet stays in place until the weeds are completely dried and brown. Also, to enhance the results even more, you need to till the ground in order to bring all the weeds to the surface. Also, before solarizing them, you might want to leave the weeds at least to sprout. One thing with weeds is that they will never grow in your garden if there’s no space for them. In that case, where you have ornamental flower beds or even perennial plants. It’s important that you plant a cover that will at least shade the soil. In order to ensure that weeds do not grow in your garden, you may try out the square foot gardening or even the wide row planting method. That being the case, you will ensure that the plants in your garden will only get to touch each other at maturity. Therefore, as the leaves progressively grow, they will be able to shade the garden at the same time depriving the weeds of any sunlight. This is the best way to ensure that weeds do not grow in your garden as they will not have sunlight which is necessary to make food. If you are looking for the best method to get rid of weeds in your driveways and sidewalks, here is the perfect solution. This option may sound a little morbid, however, when you pour boiling water on weeds they will burn and eventually die. All in all, there are drawbacks associated with this option as the boiling water will do its work non selectively. That being the case, it may destroy even the good plants if you are not careful enough during application. This is one of the most satisfying methods that we have for killing weeds in your garden. Ideally, the flame weeder features a wand that is connected to a propane tank. With this, you get to pass a flame fatally over the weeds until they die. All in all, when it comes to flaming, it will majorly kill the plant leaves that are above the ground. That being the case, you may need to flame the weeds for a few times before they actually die off completely. One thing that you will love about the flame weeders is that they are utterly effective when eliminating any weeds type. Therefore, for your small vegetable garden. The flame weeder is a totally worth option. You are however required to be very careful when using the flame weeder during the dry season. This is because, you might face a risk of fire outbreak in your garden. More to that, be careful not to flame your essential herbs and vegetables in your garden. Weeds can be such a frustrating thing in your garden. 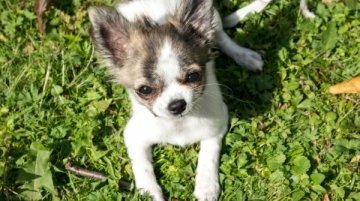 The sad part is that most of the chemicals that are used to combat the weeds may also be toxic to the pets in your home. As well as the surrounding environment. Not to mention, the chemicals could also have a long term effect on the health of you and your family members. Especially to farmers who are also dog owners, dog friendly weed killers are a point of concern. This is because most are the times when you will find these furry friends rolling, rubbing or even carrying around plant materials in their mouths. This is probably the oldest fashioned method of eliminating weeds in your garden that you know. Also, you may have to put in a lot of work for this option to actually work. However, this is the safest option that you can use if you have dogs that are likely to be running around the garden. With constant practice, pulling out weeds by hand is not so much work as most people make it seem. All in all, if you have weeds that are too embedded to your garden, you may have to invest in a digging fork that will help with pulling out the long and deep tap roots. This is the most effective way of eliminating weeds that majorly grow on the sidewalks as well as the cracks in the patio. All you need to do is boil some water then pour the water carefully on the weeds you wish to eliminate. Since no chemicals are involved, this is a great natural weed killer that is safe for the dogs. As you have seen from the article, it doesn’t take much to get together a natural weed killer. In our case, we have salt which is an easy recipe for weed control. All you have to do is ensure that your sprinkle slat generously on the weeds you wish to eliminate in the garden. Hence, the salt will tamper with the soil Ph. making it unsuitable for cultivation. All in all, you need to implement the soil carefully only on the weeds that you wish to eliminate. 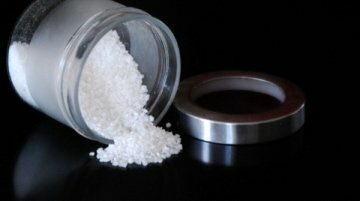 This is because the salt may also tamper with the ‘good’ plants in the garden. However, salt may irritate the pet paws but it doesn’t have any effect to the pet when consumed. Most people will have a hard time believing this but sugar is a weed killer that is also friendly to pets at the same time. Much like salt too, the sugar makes the soil conditions unsuitable for plant growth. 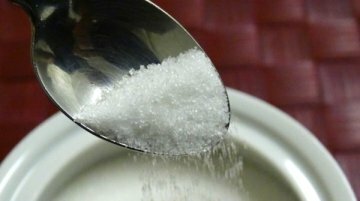 All in all, the sugar is likely to attract ants and other pests in your garden. This is because sugar alone makes the recipe too attractive. That being the case, addition of chili pepper counters all the attractiveness that comes with the sugar. To eliminate the weeds, you need to sprinkle the mixture of sugar. As well, sprinkle some chili generously across the areas where weeds are growing. All in all, you need to know if your pets especially the dogs are attracted to sweet stuff. This is because they will end up with a mouthful of chili pepper. This will without a doubt cause mild irritation to the dog. Only that this is not much to worry about as the irritation will be gone in no time. Thanks for sharing your knowledge with us. I’ve got huge information on this post. I’ve read many articles on this topic. But this is the best one I’ve ever read. I’ve got many new point on your blog. I will share your blog post link with my friends. Thanks again for your effort to write such a great post. Thank You Jhon Alvart! That fills my heart! Appreciate you sharing and your feedback. Blessings my friend!